Clash of Clans Clan Challenges Update Announced! Clash of Clans announced today that in the next September/October update, that Clan Challenges were being added in to the game! This isn’t an official sneak peek, but it is something new that will be updated in the next update. Clan Challenges are essentially arranged wars that are just called Clan Challenges. 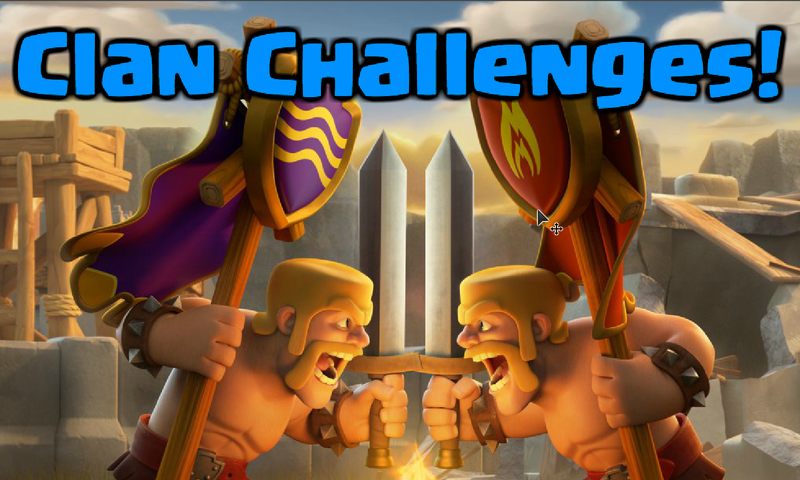 However, in Clan Challenges you can do a lot more than you can in regular wars! You are basically able to issue a war request to another clan. You will be able to choose your clan participants and also how long the war will last. Overall, this feature is super sick and is the update that Clash of Clans needed to bring back joy into their game. A lot of war players are really celebrating this feature and can’t wait to see more sneak peeks soon! Check back here tomorrow for (hopefully) some more sneak peeks to go along with this! ← Clash Royale OP Giant Posion Deck! Pingback: Clash of Clans Clan Challenges Update Announced! | Clash of Clans Guide, Strategies, Tricks and More! Yes! My clan is totally going to win against my friend’s. Hear the sarcasm? Our clan is called Badatclashing after all.